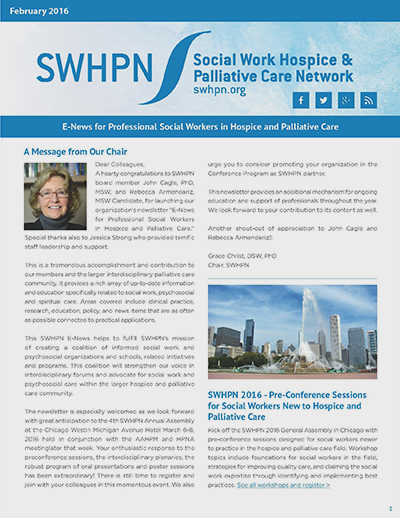 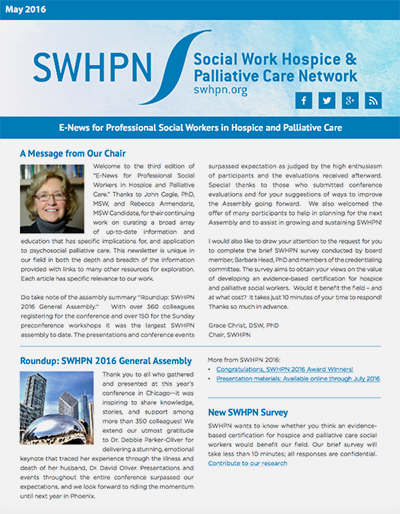 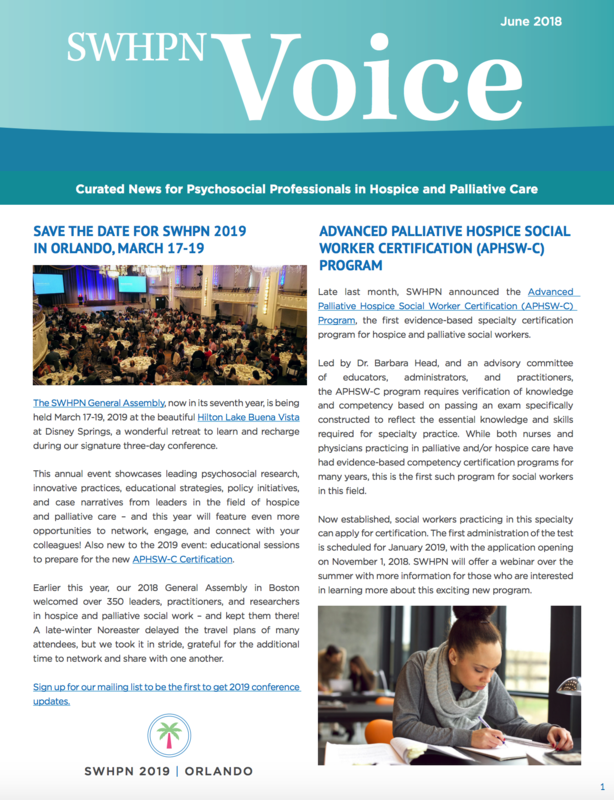 The SWHPN Voice, edited by SWHPN Board Member John Cagle and curated by Rebecca Armendariz, is our quarterly newsletter that provides curated literature, education, research, policy, and practices in social work and psychosocial palliative care. 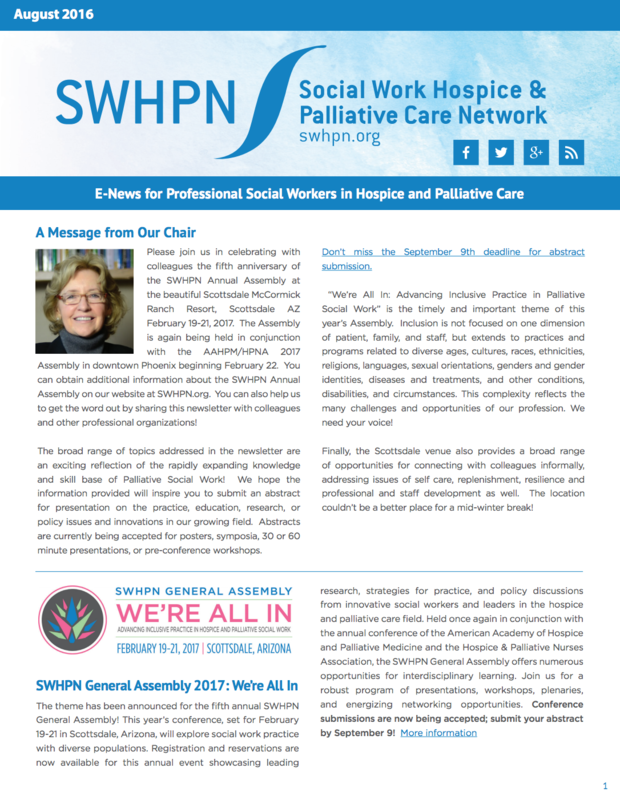 After a year hiatus, the SWHPN Voice is back! 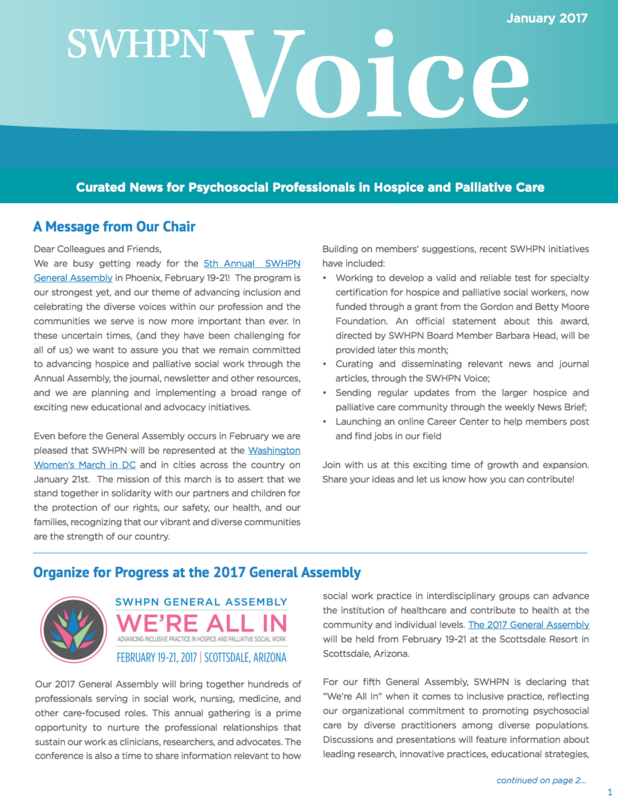 See our latest issue below.